Tuesday 12th of Feb at 7.30pm. 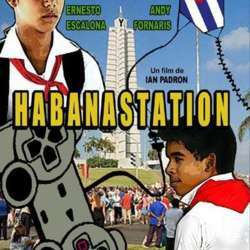 Mayito gets lost in the march of the 1st of May in a marginal neighbourhood of Havana called La Tinta near Revolution Square. There, he will meet a classmate (Carlos) who he had barely spoken to before. This neighbourhood, in an area of Havana unknown to Mayito until then, will be where he will discover the Cuba where Carlos lives, a radically different reality of his own carefree existence in his house in Miramar.